Rescuers from a lifeboat station who helped airlift a seriously ill woman to hospital will feature on a BBC1 television show this Friday. Gosport & Fareham Inshore Rescue Service’s operation to help the Coastguard airlift a woman off Spitbank Fort on August Bank Holiday Monday last year will be broadcast on the Close Calls On Camera show on Friday at 1145. The BBC used footage filmed by a GAFIRS crewman filmed when they were called to assist a woman who had slipped and seriously injured her skull. 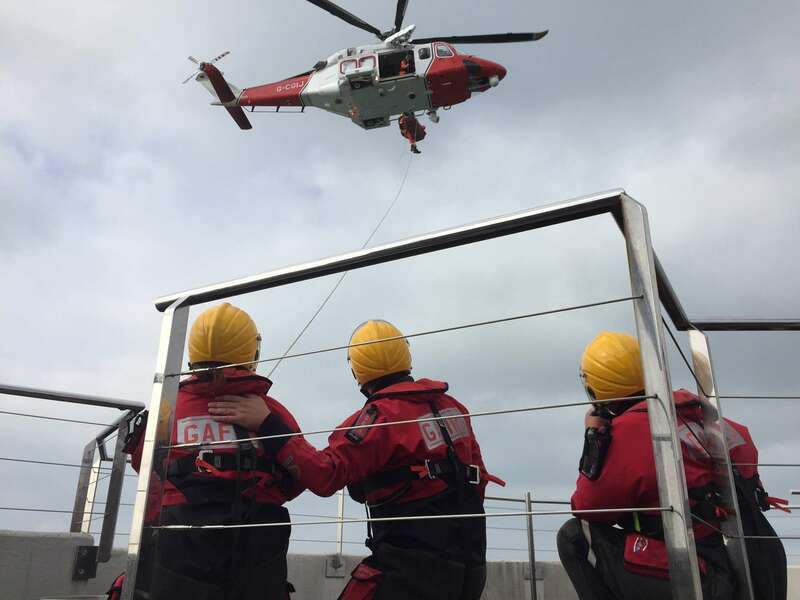 The Coastguard Rescue Helicopter based at Lee-on-the-Solent was scrambled and the paramedic winchman lowered onto the luxury hotel to give emergency care to the patient. 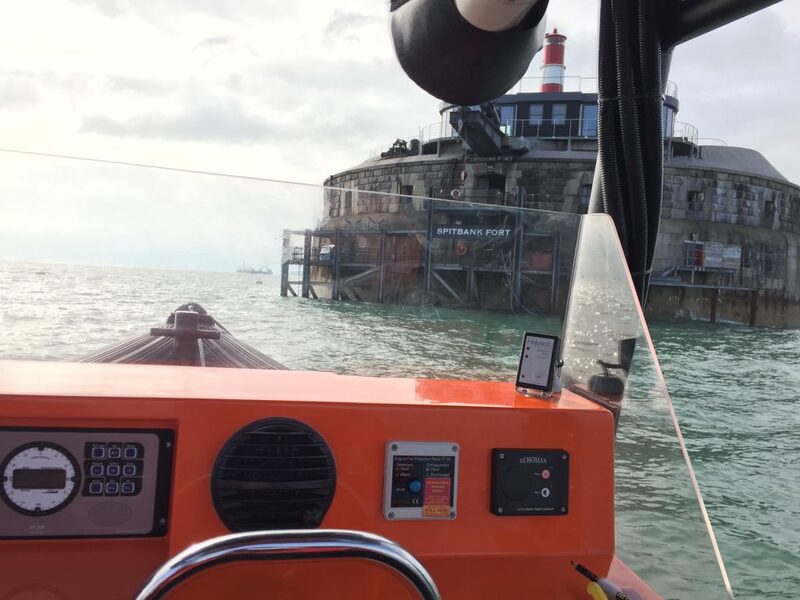 James Baggott, a spokesman for GAFIRS, said: ‘Our crews were placed on the fort by Gosport lifeboat to help the Coastguard airlift the seriously injured woman into the helicopter and to hospital. ‘Fortunately she made a full recovery from her head injury and when she visited the station she agreed to GAFIRS releasing the footage to the BBC to help highlight the vital work an independent lifeboat station like ours does in The Solent to help save lives. Close Calls On Camera is presented by Nick Knowles and produced by Hampshire-based production company, Topical Television. The show will be available for seven days on BBC iPlayer after the show is broadcast this Friday here http://www.bbc.co.uk/programmes/b08rbc14.